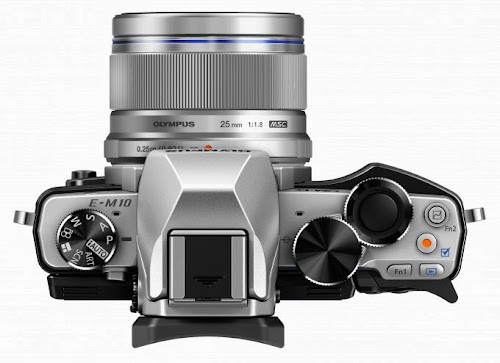 The newest OM-D camera was announced, the E-M10. Along with, the 25mm F1.8 lens, the first mid to high performance normal lens for micro four thirds made by Olympus. I really like this focal length, even though it is more of a short tele rather than a normal lens (I guess we can lump 35-60mm in normal range). I find the E-M10 to be very stylish in design. As expected, the sensor is the very close to the most recent specifications. If you look closely, there may be some minor differences such as phase detect AF sensor bits, 3-axis stabilization and EVF performance, but it is pretty much the same camera for picture quality. There is a case to be made that you may have to work a bit harder to get the exact same moments compared to a higher class camera, but you would have to compare the same person with the same skill sets. Everyone's mileage will differ, and the E-M10 is certainly a very capable camera. The more I think about it, the E-M10 doesn't look like a downgrade from the E-M1 as it looks like an E-M5 without the weather seal and axis stabilization. The 25mm F1.8 lens could be my favourite micro four thirds lens. It is only because I have been shooting most of my early photos exclusively with this focal length, and my eyes are suited to this field of view. I can also look around and picture the frame without holding the camera up to my face at all. On the other hand, I got around to using 35mm rather late, and couldn't pick it up as fast as I liked, and I don't have a soft spot for the focal length. As far as the lens goes, a 46 or so degree field of view seems to only need 6 glass elements positioned symmetrically, but there seems to be two sets of lenses in the front and back that act as some kind of correction group. If you look at the middle six lenses, excluding the first lens element and the last two lens elements, it looks like a skewed Gauss type design. The first lens element can potentially tune the field of view a little bit, as well as balance the distortion and longitudinal chromatic aberrations. The last two elements loos like corrections so that the chief ray angle of each field will enter the sensor surface relatively perpendicular, so that the walls in between each pixel does not shade the rays upon entering the sensor. The first lens may also be there to correct the after effects of the last two lens elements. Of course, lens design is a great balance of art and science, and I could be completely off with my comments. In any case, this is a rather luxurious design with a 9 element design. If the press release is true, we can expect mid to high range performance from this lens similar to the 45mm F1.8, and that should be a good choice for micro four thirds owners who may want to entertain single focus lenses. However, I still think the best lens for the newer OM-D E-M series cameras to be the 12-40mm F2.8 PRO, even though I am not a fan of zoom lenses. I don't think it's sacrilege to put the 12-40mm on the E-M10.